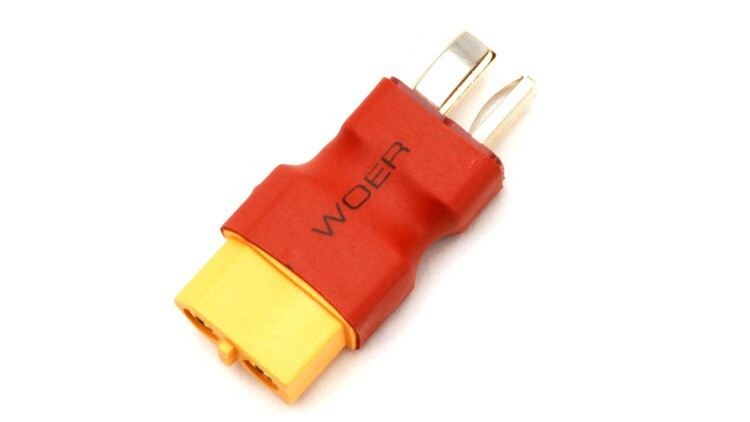 This connector is very small and light weight, it is very useful when you have a mixture of Dean and XT60 connectors on your LiPo batteries. The Dean male to XT60 female LiPo battery connection converter can be added and removed quickly saving you time converting your batteries to XT60 style connectors which have become more popular than Deans connectors over the past few years. The converter can be used up to 60 Amps without any concerns of overloading either the Dean or XT60 connector.